The cast and director of the upcoming revue "Let's Swing!" a tribute to the music of the 1940s, wear their winter clothes. 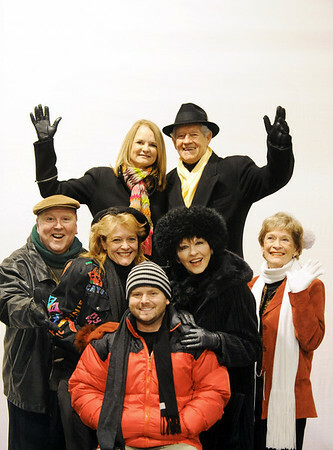 Pictured are (top row, from left) Becky Seidl, Chet Fritz, (second row, from left) Jim Lile, Tamara Barnett, Rebecca Luebber, director and pianist Cecie Fritz and (front row) Kenny Timbrel.